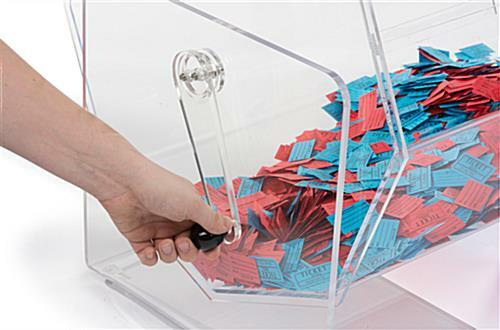 The Raffle Drum For Corporate Functions Is A Large Countertop Unit. 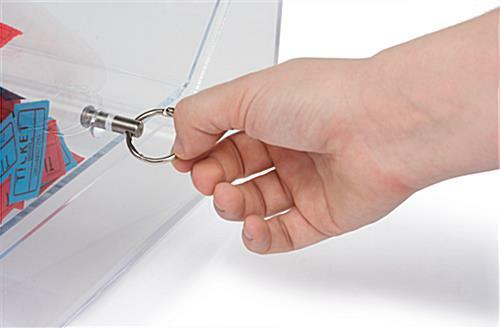 The Acrylic Tumbler, Like The Brass Version, Has A Lock And Easy Open Gate For The Security Of The Tickets. 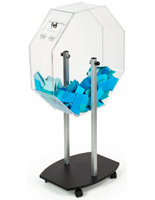 The Raffle Drum For Charities Is Great For Corporate Events As Well. 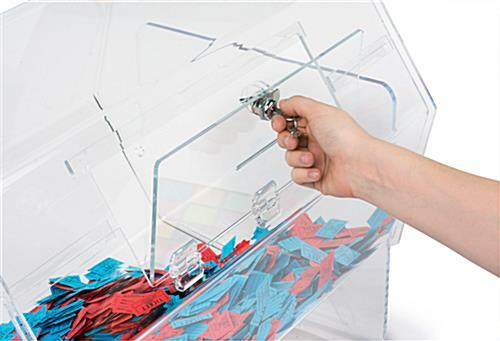 This raffle drum is a large-sized raffle box which serves as a collection container for ballots, and sweepstakes entries. 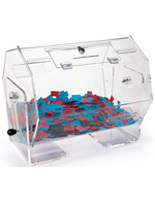 A large-sized rotating box for bingo tickets is also excellent for contest drawings, exhibits, and much more! 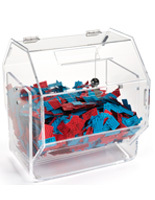 This large container, raffle drum is made from 3/16" thick plastic. 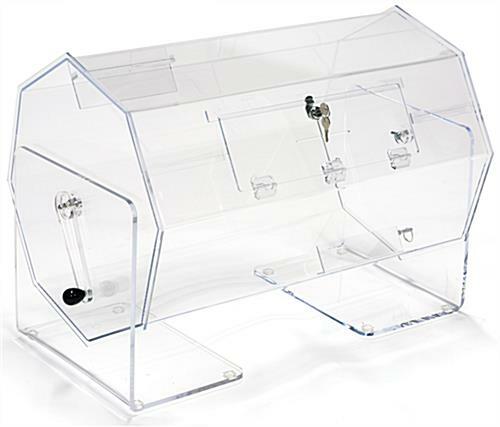 Our acrylic spinning units have an octagonal design that gives them a unique look. 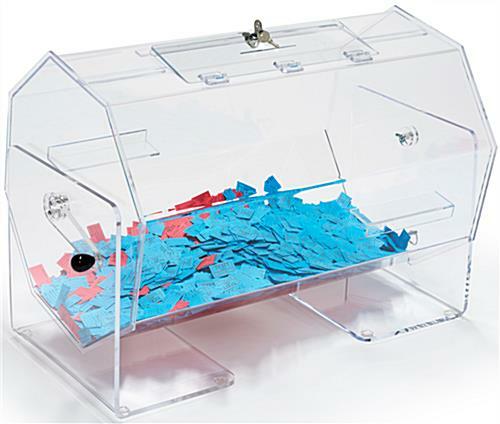 The body of the box has a hinged lid and a 4-1/2" wide slot for inserting raffle tickets, ballots, and entries. 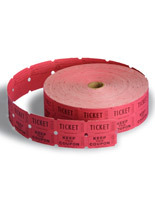 The cylinder of the raffle drum rotates on a stationary stand, allowing for quick tossing of your tickets. We offer this business tool with a built in camlock and two keys to make sure your contents are secure. 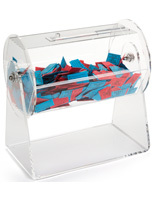 In addition, this raffle drum has a strong acrylic base with rubber feet. 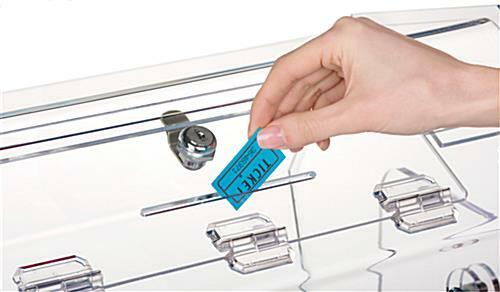 The acrylic lever is easy to turn and use. 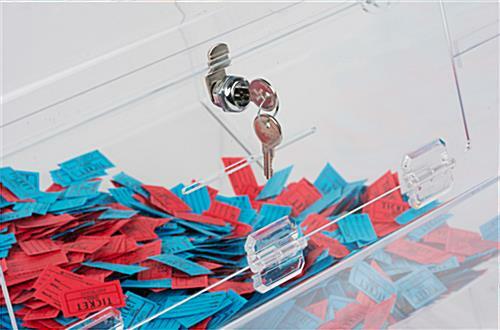 This large-sized bingo box like most of our other ticket holders features a "pin lock" that holds the spinning drum in place for convenience when inserting tickets and opening. The non-brass fixture is fabricated from 1/8" and 3/16" thick acrylic. 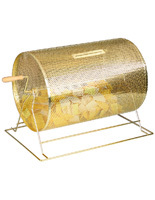 This raffle drum is ideal for corporate functions. 29.5" x 21.5" x 18.5"